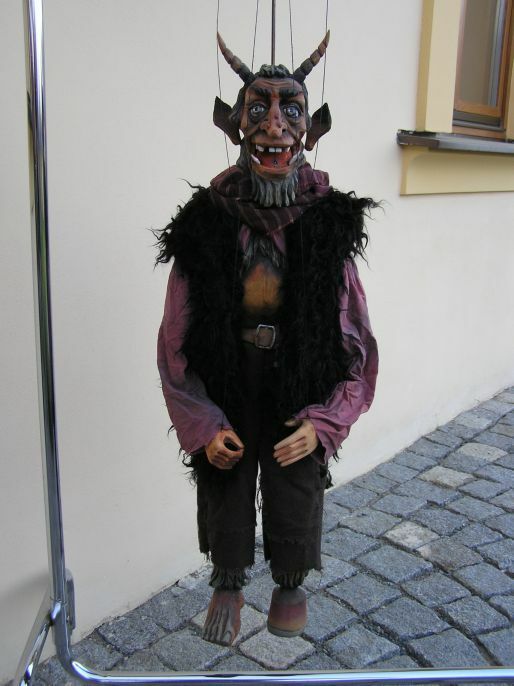 We are pleased to offer you hand-made carved marionette puppet DEVIL. Height 70 cm. This marionette is hand carved from lime wood. Painted with oil colours.The marionette has a control with 9 strings. Author Vaclav Krcal, puppets costume Marcela Krcalova. We have to make this puppet for you. It takes 10-14 days. We also offer -Wood sculpted marionettes of all sizes -Classic marionettes, rod-puppets, glove puppets etc. -Replicas of old marionettes and modern marionettes -Construction of marionettes by our design or from design by your request (see special offer) -Reparation of old marionettes including the costumes -The marionettes papier-mache, hand-sewn, masks etc. 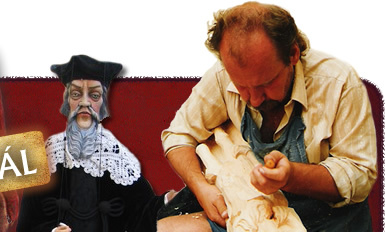 -The complete stage-sets for marionette theatres including artistic design, scenery and coulisse -Other carving, e.g. bethlehem figures Special offer: In case you have your favourite character (fairy-tale or literary), we will construct it as a marionette. We can also construct the marionette from your own design or photographs. We can also document photographically the way your marionette is producted .